Banks will only agree to the sale if they believe the option to be more profitable than foreclosing on the house. They determine this through appraisals, and in some cases, a broker price opinion (BPO). As such, the amount potential buyer offers can have a significant influence over the approval, or they will find the short sale denied. Short Sale Solution: Buyers should prepare to contend any rejection by offer price. For best results, present comparable home sales which justify and support the offer price. To complete a short sale, buyers will need to submit a short sale package containing copious amount of information. If these forms contain any incomplete sections, missing signatures or initials, or inconsistent information, the process will come to an immediate denial of the short sale. Moreover, even if all documents are correctly completed, the bank could potentially misplace a form, delaying the short sale indefinitely. Short Sale Solution: Request a list of required documents from the bank approving the sale. Check that each form is completed. Make copies of each document being submitted, should the bank lose a form or should the package be lost in the mail? In the process of approving a short sale, banks will evaluate the seller to determine whether the short sale is justifiable and whether or not the seller can continue to make mortgage payments. If the seller requests debt forgiveness, he or she must present a hardship letter that provides: an explanation of the circumstances necessitating the short sale, attempts made to improve the situation and reasons why these attempts were unsuccessful. If the bank determines that the seller can afford to continue making monthly mortgage payments or has adequate assets to repay the debt, there will be a denied short sale. Short Sale Solution: Present information which clearly and indisputably justifies the short sale transaction, including profit and loss statements, monthly budgets with specific figure representations, and other documentation to prove that the seller possesses little or no assets and disposable income. Also, click here for tips on how to write an effective short sale hardship letter. Not only must the seller qualify for the short sale transaction, but buyers must also meet bank requirements to be approved otherwise the short sale will be denied. As with any loan transactions, the lender will assess the borrower’s credit history and payment patterns, the length of employment, debt-to-income ratio (DTI), and many other factors. Borrower qualification depends on how much of a risk the borrower presents to the lender; riskier borrowers are more likely to be denied, thus preventing the short sale. Short Sale Solution: Buyers should acquire preapproval before applying for a short sale transaction. Additionally, borrowers can present an earnest money deposit to demonstrate their commitment and ability to securing a mortgage loan and closing the transaction. With a preapproval letter and an earnest money deposit, borrowers with decent credit and debt ratios should have no trouble qualifying for a short sale. Occasionally, a bank won’t realize that it currently owns the property’s mortgage until much later, sometimes even several months into short sale discussions. In cases where the bank has previously sold the mortgage to another lender, the bank cannot authorize the short sale, having released the asset and all responsibility. While the bank may still service the loan and send the monthly statements for mortgage payments, it does not necessarily own the mortgage. Short Sale Solution: When in doubt, request that the title company will verify the public records and the owner of the mortgage loan, sometimes indicated by a deed of trust. 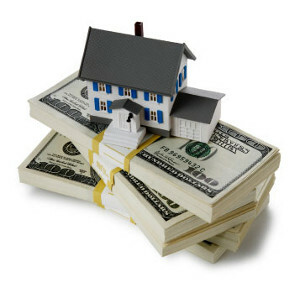 If the bank no longer holds the loan, present your short sale package to the new lender that owns the mortgage.